We are one of the leading providers of Water Testing Equipments and filtration and water treatment equipment. Products offered by us include filtration plant, water treatment testing equipment, water softening plant, swimming pool equipment and RO plant. Our range is manufactured by using raw material sourced from reliable vendors. These products are acknowledged among our clients for its salient features, including durability, superior functioning and precision engineering. The acidity of water is the capacity of water to neutralize base to desired ph. Acidity is caused by weak organic acids and strong mineral acids. It indicates corrosion of water. 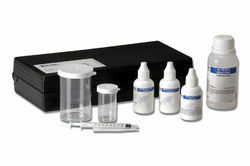 This AQUASOL water test is a titration test and is extremely easy and convenient and gives accurate results. Iron is a naturally occurring mineral found in water especially groundwater which has come in contact with iron-containing rock or soil. Insoluble iron can clog valves and strainers and can cause excessive sludge build up in low lying areas of a water system. It also leads to boiler deposits that can cause tube failure. Suspended or dissolved iron coming in the feed water will also deposit on the boiler metal. Checking iron in boiler and cooling water helps to monitor corrosion level in water. AQUASOL iron test gives a clear red colour result which is then compared with the colour chart provided. Carbon dioxide can react with water to form carbonic acid (h2co3). Carbonic acid will cause corrosion in steam and return lines. Carbon dioxide can originate from condenser air leakage or bicarbonate (hco3) alkalinity in the feed water. Our AQUASOL test for carbon dioxide is a titrimetric kit, packaged with standardized reagents ready to use, convenient and accurate. Fluoride occurs naturally in all types of water. Typically, surface waters and seawaters have low concentration of fluoride while groundwater may contain high levels of fluoride as it may be exposed to many inorganic fluoride-containing minerals. Fluoride salts are also frequently encountered in many industrial applications. Fluoride is important in drinking water as excessive fluoride cause mottling. A permissible limit has been laid down for fluoride therefore analysis of fluoride is mandatory in drinking water. Our fluoride water test is one of its kinds and works on the titrimetric principle. The end point is a clear yellow. Sulphite is not usually present in surface waters. If sulphite is discharged in effluents or from domestic wastewaters, it readily oxidizes to sulphate. Sodium sulphite, the most common form of sulphite is an excellent reducing agent and is commonly used as an oxygen scavenger to control corrosion. Sulphite concentrations in boiler and process waters must be monitored regularly to protect the systems. 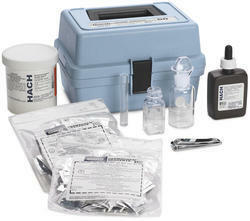 Our sulphite test kit works when sulphite in salt form has been added to waters. It is a tritation method, easy to use and easy to read. Nitrates are inorganic salts that occur as a natural or manmade contaminants in drinking water. High nitrate levels indicate the presence of other pollutants, such as bacteria or pesticides, as these follow the same path as the nitrate into the water supply. 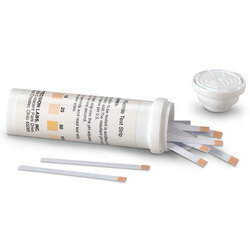 Our nitrate water test kit is based on a colour comparison method. It is a very sensitive one and giving distinct colours which are easily comparable with the chart provided. Sulphate is a constituent of TDS and may form salts with sodium, potassium, magnesium and other cations. Sulphate (so4-2) is widely distributed in nature and may be present in natural waters at concentrations ranging from a few to several hundred milligrams per litre. Sulphate can cause scale build-up in water pipes. Sulphates are also food for the Anaerobic slime formers the sulphate reducing bacteria which are responsible for pitting type of corrosion in pipes. 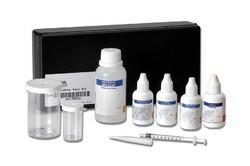 The AQUASOL water test kit for sulphate is based on titrimetry and is extremely user friendly. Phosphonates a are a class of chelating agents and scale inhibitors, used in household cleaning products, personal care products, institutional cleaners and industrial cleaning processes and water treatment additives in various applications. They play an important role in boiler, cooling and process water treatment. 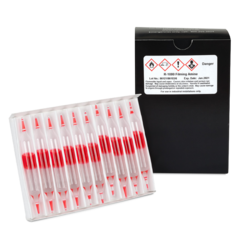 The phosphonate water testing kit is available for both low and high ranges and used by boiler maintenance personnel frequently. Orthophosphate is a commonly used corrosion inhibitor that is added to finished drinking water. It works by forming a protective coat inside pipes in the distribution systems and in customer homes to prevent lead from leaching into drinking water. The other name is phosphoric acid, and it is used to control alkalinity/acidity in foods and beverages. It is a vital parameter for boiler, cooling and process water treatment. 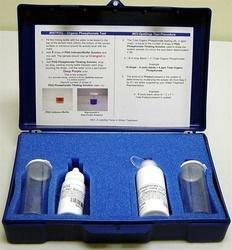 This water testing kit is again based on colour comparison. This kit is available in both low and high ranges. Turbidity is a principal physical characteristic of water. It is caused by suspended matter or impurities that interfere with the clarity of the water. These include clay, silt, finely divided inorganic and organic matter, soluble coloured organic compounds, and plankton and other microscopic organisms. Turbidity is the measure of relative clarity of a liquid. Clarity is required for drinking water and in manufacturing uses. 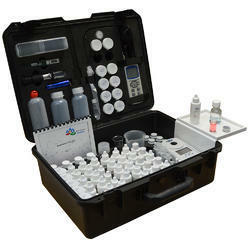 This AQUASOL water turbidity test kit is simple and adequate. It has been designed for “onsite “use. It suffices its purpose and helps regular monitoring. Tannin is a natural organic material that is the by product of nature’s fermentation process, created as water passes through peaty soil and decaying vegetation. Tannins create a light yellow to dark brown discoloration of the water, and cause yellow staining on fabrics, fixtures, and laundry. Tannin based formulations are used for prevention of scale and corrosion in steam boilers, closed cooling systems and steam locomotives. 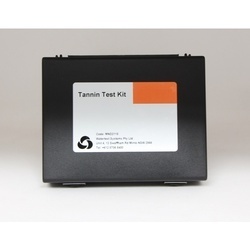 The tannin test kit is a titrimetric one and has reagents for 2 ranges in the same kit, making it portable and user friendly. Hydrazine is used as an oxygen scavenger for high pressure boilers in power plants and other industries to reduce corrosion of metal pipes and fittings. 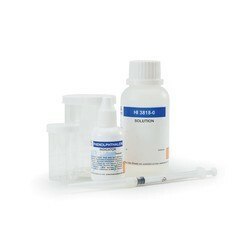 Our hydrazine water test kit is regular used for high pressure boiler monitoring, the results are easily discernable and can be used by shop floor personnel. Copper is a metal that exists in the environment as a mineral in rocks and soil. It is commonly found at low levels in natural water bodies. Consumption of high levels of copper can cause nausea, vomiting, diarrhoea, gastric complaints and headaches. Copper salts are used to control algAE. 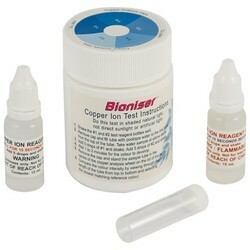 The copper water test kit is based on colour comparison and can do 250 tests . 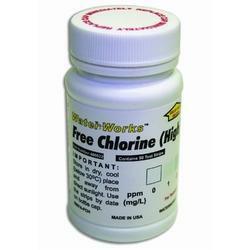 Chlorine dioxide is a broad-spectrum micro biocide effective over a wide ph range. Chlorine dioxide is effectively used in the control of microbiological growths in industrial cooling waters under conditions unfavorable to chlorine. 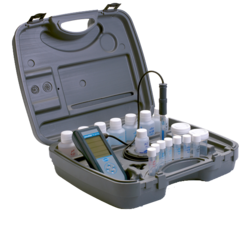 This water test is a titrimetric one, generally used by cooling tower maintenance personnel to monitor residuals of the oxidising microbiocide. Amines are used as neutralizing agents for condensation water in boiler treatment. This helps to control corrosion. 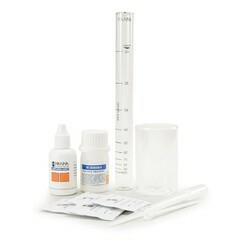 This water test kit is available in two ranges as two separate kits. Both give results in terms of cyclohexamine. It is produced in pickling and plating operations, anodizing aluminium, leather tanning, manufacturing of paints, dyes and explosives. Chromate is used to inhibit corrosion in open and closed system cooling towers. 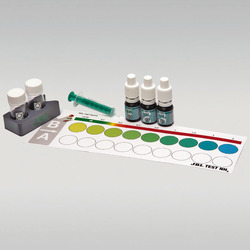 This AQUASOL water test kit is generally used by paint and dye manufacturers and very rarely for monitoring cooling systems, as with the advent of technology newer safer biocides are being used and chromate has almost left the scene. Silica (sio2) is an oxide of silicon, and is present in almost all minerals. It is found in surface and well water. Silica is a problem for high pressure boilers, as it exhibits enough volatility that high pressure boilers will have silica carry over to the vapour partition. When the steam pressure is reduced in turbines, silica will precipitate on the blades as a glassy deposit, which reduces efficiency. Measuring silica in water is useful to monitor demineralizer for boiler water treatment. 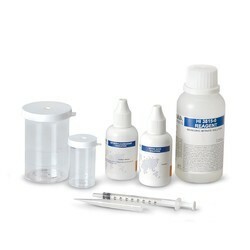 The silica water test is available as 4 different products in very low and very high ranges. water, waste water, boiler and cooling water. 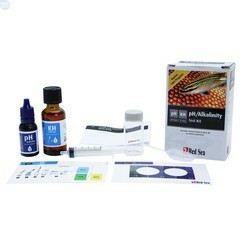 Our alkalinity kit is available in two The alkalinity of water is capacity of water to neutralise acid to desired ph. It is mainly a sum of carbonate, bicarbonate and hydroxide ions. Salts of weak acids like borate, silicate and phosphate may also contribute to alkalinity. Alkalinity is important in the treatment of potable ranges & a very easy to use test to gives reliable results. Chlorine is the most widely used oxidizing biocide today for disinfection of domestic water supplies as also for the removal of tastes and odours from water. 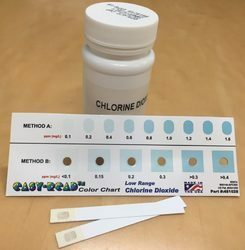 The amount of chlorine required to be added in a water system is determined by chlorine demand, contact time, ph and temperature of the water. Chlorine residual in drinking water indicates that disinfection has been achieved by chlorine and bacteria / viruses that cause diarrheal disease have been eliminated. Also the water is protected from recontamination during storage. 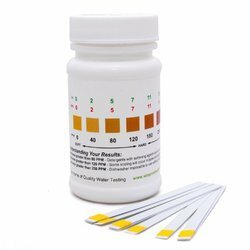 Our AQUASOL chlorine test is available as three different types, DPD method, Iodometric method and OT method. 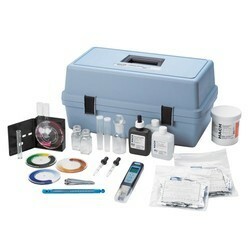 The kit gives very reliable results. The end point is very sharp and easily discernable by the user. 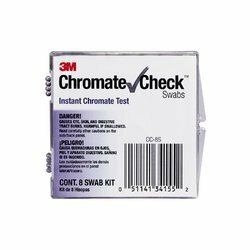 Even a shop floor worker will be able to get desired results with our test kit. Dissolved oxygen (do) refers to the volume of oxygen that is present in water. Do is important for maintenance of sewage treatment units. D.o. is essential for the aquatic plant and animal life. Do is detrimental in boiler systems because it leads to corrosion in boiler systems. Do analysis measures the amount of gaseous oxygen (o2) dissolved. In an aqueous solution DO measurement is a tricky business, but our kit makes testing easy and simple. Ammonia is present in variable concentrations in many surface and ground water supplies. It is rapidly oxidized by certain bacteria, in natural water systems, to nitrite and nitrate – a process that requires the presence of dissolved oxygen. Ammonia, being a source of nitrogen is also a nutrient for algAE and other forms of plant life and thus contributes to overloading of natural systems and cause pollution. Ammonia is important to be tested in fisheries. Our AQUASOL ammonia test is based on colour comparison and results obtained are easily discernable. Nitrites occur in water as an intermediate product in the biological breakdown of organic nitrogen, being produced either through the oxidation of ammonia or the reduction of nitrate. The presence of large quantities of nitrites is indicative of waste water pollution. Low range nitrite estimation is useful for drinking water analysis. Nitrite is added to control corrosion in closed cooling systems. 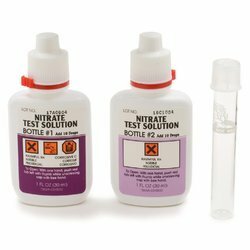 We have two kits for nitrite one a very low range, especially for drinking and the higher one for waste water. Our AQUASOL kits are based on colour comparison. They are very simple and convenient to use.